Fighting for the rights of injured workers since 1973. Click here to watch our helpful videos about worker’s compensation law. Fill out our quick connect form to send us a message about your case. The number of nonfarm payroll jobs increase by close to 5,000 from June to July of 2012. This means that there was a total of nearly 2,295,000 jobs! Jobs in the private sector increase be more than 4,000 as well while government jobs increased by 300, according to the Colorado Department of Labor & Employment. According to a recent survey, the unemployment rate in the state shot up by about a tenth of a percentage point, reaching 8.3 percent. Officials say that the increase in these numbers was cause by a larger decline in the number of people who reported their currnt work status as employed instead of people actually not having a job. During this same time, the national unemployment rate increase by the same amount, also reaching 8.3 percent. Before June and July, the employment rate in the state of Colorado didn’t match the national rate since October of last year. Our Boulder workers compensation lawyers understand that with more people back on the job we can expect higher risks for on-the-job accidents. Employers are urged to keep their eye on safety. It’s their responsibility to make sure that each and every employee is protected on the job. More workers only means that these efforts need to be increased! Over the entire year, the average workweek for workers in the state increase from just under 35 hours to close to 36 hours, The average hourly earning also jumped about $1 to now sit at $24.68. The sector that saw the largest jump in job gains was leisure and hospitality, manufacturing, professional and business services. Payroll jobs are up, too! Throughout the year, the number of payroll jobs jumped by more than 37,000. Private sector jobs increased by close to 36,000 and government increased by more than 1,500. The largest private sector employment position increases were in professional and business, construction as well as utilities, transportation and trade. The only significant decrease in payroll jobs for the private sector was in information. With all of this information newly released, we’re asking employers to step back and take a look at their site’s safety practices. Make sure that all workers are properly trained and that they have the safety equipment they need to avoid accidents and injuries on the job. ← Boulder Job Safety: Rest Reduces Risk! 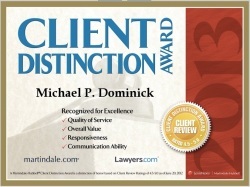 Material presented on the Michael P. Dominick website is intended for information purposes only. is not engaged in rendering legal or other professional services by posting said material. 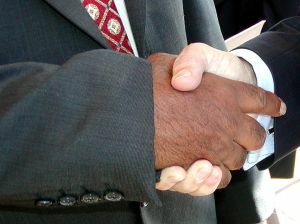 The services of a competent professional should be sought if legal or other specific expert assistance is required.